RealAutoTips. - We think you will accept that the battery in your car very important used. It is because that battery used in many function in your car like for ignition, lighting, car sensor, etc. So we must obey our car battery to keep our car battery always ready to use. In here we will give you some tips on how to maintenance car battery easily and we hope with follow this tip your car battery always ready to use and have good endurance. And here are 10 tips on how to maintenance car battery easily according electroschematic blog that write by P. Marian. Always charge the car battery with caps in space. Always fill the battery with distilled water before charging. This reduces the space for the accumulation of gas. Place a wet cloth over the caps before charging. This prevents the chance of fire get in to the battery if there is a shorting in the terminals. 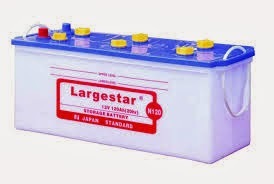 Do not keep any inflammable gas or liquid near the battery. The charger should be connected to the AC socket only after it is connected to the battery terminals. This prevents sparking in the terminals. Do not place any metal objects over the battery to prevent terminal shorting. Rock the charger clips to the terminals to remove any corroded material. If there is any corroded material, it may creates high resistance that results in terminal heating or reduce the flow of charge. Do not use Bangles or Metal wearing when handling the battery charger. A shorting can burn your hands. Always use a Transformer based charger. Remove the clips only after removing the AC plug.